Lead is a metal that has been used in the past in gasoline and pain, and can currently be found in many household products. 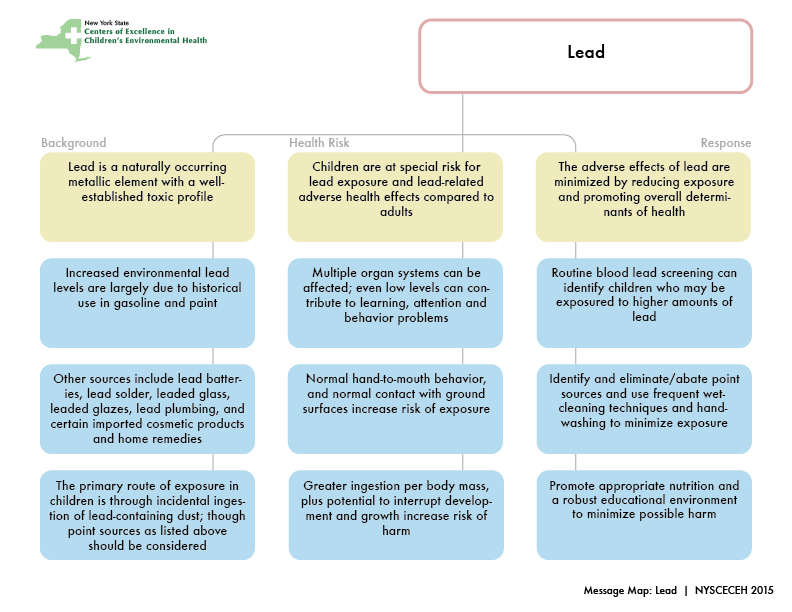 Lead is known to cause neurologic and developmental health problems in children, even at low levels. Avoid exposures to peeling paint in older homes, painted housewares, folk remedies, and cosmetics that may contain lead. Click to download Message Map as a PDF.